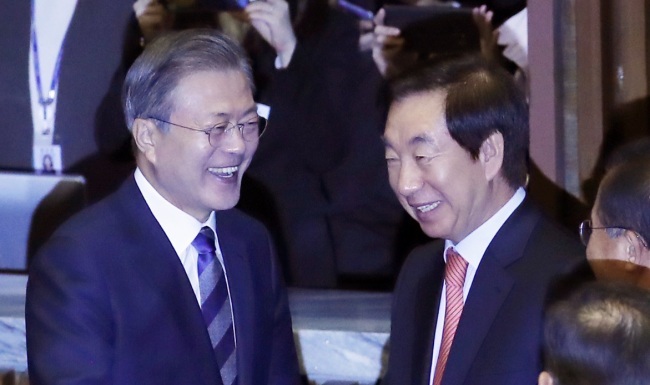 The ongoing parliamentary review of the Moon Jae-in government’s 2019 budget proposal is expected to be a bumpy one, as the main opposition party strongly opposes some of the spending plans, including those on inter-Korean projects. The National Assembly last week began reviewing the record budget proposal of 470 trillion won ($420 billion) that features increased spending for welfare programs and job creation, especially for the young population. The main opposition Liberty Korea Party has said it will try to cut at least some 8 trillion won from the budget of 23.5 trillion won earmarked for creation of short-term jobs. The party also says it will seek to cut 640 billion won from the 1.1 trillion won allocated for inter-Korean projects. On the increased budget to boost short-term job creation, the Liberty Korea Party accused the Moon administration of “manipulating state statistics” on employment rather than coming up with a long-term, concrete plan to tackle the ongoing job crisis. Under the 1.1 trillion won for inter-Korean projects, the government has set aside 420 billion won for establishing economic foundations that include 290 billion in projects to reconnect railways across the inter-Korean border and infrastructure. The main opposition party said the railway project as well as infrastructure building should be undertaken only after North Korea releases a “concrete road map” for denuclearization. “We plan to cut the budget allocated for inter-Korean railways and infrastructure,” the party said. Meanwhile, the main opposition party has asked for an increased budget for programs aimed at tackling the nation’s critically low birthrate. The conservative Liberty Korea Party has long been skeptical of some existing universal welfare schemes, including free lunches for all schoolchildren. However, the party has asked for an increase of 7 trillion won for welfare programs for new parents, proposing an allowance of 22 million won for expectant mothers. The party also proposed an allowance for parents with young children to all parents regardless of income level. Currently the allowance is not given to those in the wealthiest 10 percent. The party also seeks to increase budget spending on research and development and building of infrastructure to boost regional economies. Meanwhile, President Moon Jae-in is expected to discuss the national budget, economic bills and the ratification of the April inter-Korean summit agreement with the floor leaders of five political parties at a first regular policy consultation meeting on Monday.